Wood found the target late on as Hamburg picked up their second consecutive win, against Borussia Mönchengladbach. 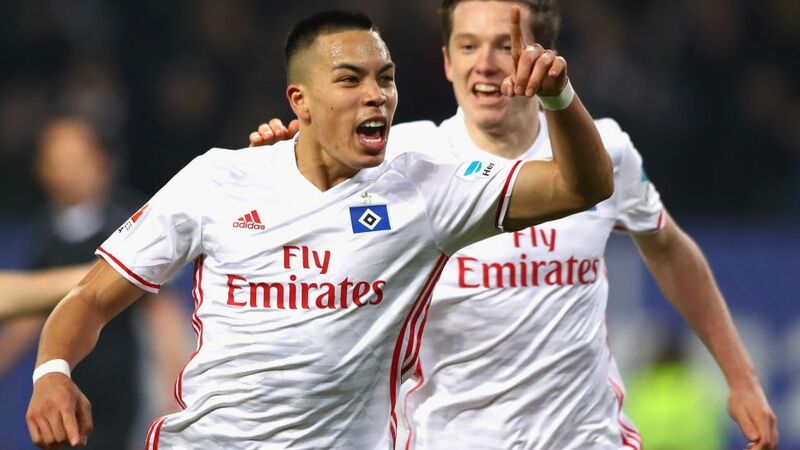 Bobby Wood proved the difference as Hamburg beat Borussia Mönchengladbach 2-1 at the Volksparkstadion, scoring late on to lift the Red Shorts seven points clear of the automatic relegation places. Click here to sign wood for your Official Fantasy Bundesliga team! Andreas Christensen headed Gladbach into an early lead against HSV, who must have felt destined for another defeat when Wood and Lewis Holtby both saw goals ruled out for offside. Filip Kostic restored parity, though, before Wood lashed home what was his fifth attempt on goal to give the Bundesliga’s only ever-present club a much-needed three points. Vote Wood for #BLMVP on our Twitter channel now! Wood had a game-high five shots on target, as well as 15 tackles from the front – a tally only bettered by Albin Ekdal (16). The USMNT striker has five Bundesliga goals for the campaign, with this his first of 2017. Hamburg are now unbeaten in their last seven home matches in the league (W5, D2).